Abstract: In-situ soil temperature and soil moisture observations at five layers (5 cm, 10 cm, 20 cm, 50 cm and 100 cm) from the 3rd Qinghai-Tibetan Plateau Atmospheric Scientific Experiment (TIPEX Ⅲ) were used to verify the applicability of two land surface model products, i. e. Global Land Data Assimilation System-NCEP, OSU, Air Force and Office of Hydrology (GLDAS-NOAH) and CMA (China Meteorological Administration) Land Data Assimilation System Version 2.0 (CLDAS-V2.0). This paper calculated the correlation coefficient and deviation between the two land model products and the in-situ soil temperature and soil moisture observations in 2015. In addition, this paper also analyzed the response of the soil temperature and soil moisture products from CLDAS-V2.0 and GLDAS-NOAH. From the two aspects, this study comprehensively evaluated the soil temperature and soil moisture' applicability of the two model products over Qinghai-Tibetan Plateau. Through the above analysis, it is discovered that the correlation (both for soil temperature and soil moisture) between the CLDAS-V2.0 and in-situ observations is better than that of GLDAS-NOAH. The correlation between the land model products (both for CLDAS-V2.0 and GLDAS-NOAH) and in-situ observations in wet season is larger than that in dry season, and shows a decreasing trend with soil depth. The deviation of soil moisture between the CLDAS-V2.0 and in-situ observations is slightly larger than that of GLDAS-NOAH. In addition, in shallow soil layers, the mean relative error (MRE) of soil moisture between the model products (both for CLDAS-V2.0 and GLDAS-NOAH) and in-situ observations during dry season is larger than that of the wet season. The root mean square error (RMSE) between CLDAS-V2.0 soil temperature product and in-situ observations in wet season is larger than that of the dry season, while this inclination of RMSE is opposite for GLDAS-NOAH temperature product during the wet and dry season. Both the CLDAS-V2.0 and GLDAS-NOAH model products can relatively accurate grasp that how the soil temperature and soil moisture response to the precipitation in shallow soil layers. However, the two model products show a lager fluctuation in deep soil layers relative to in-situ observations both in soil temperature and soil moisture. At last, the two model products (CLDAS-V2.0 and GLDAS-NOAH) cannot reproduce the significantly "lag" features that the observed soil temperature and soil moisture show a delayed change with the soil depth. And the daily Peak/valley values appear time of the soil temperature and soil moisture will show a "lag" feature after the precipitation happened which the two model products cannot describe it. CUI Yuanyuan, JING Wenqi, QIN Jun. Applicability Evaluation of Merged Soil Moisture in GLDAS-NOAH and CLDAS-V2.0 Products over Qinghai-Tibetan Plateau of 2015 Based on TIPEX Ⅲ Observations. Plateau Meteorology, 2018, 37(5): 1143-1160. Cheng G D, Wu T H, 2007. Responses of permafrost to climate change and their environmental significance, Qinghai-Tibet Plateau[J]. J Geophys Res (Earth Sci), 112(F2):F02S03, DOI:10.1029/2006JF000631. Chen Y Y, Yang K, Qin J, et al, 2013. Evaluation of AMSR-Eretrievals and GLDAS simulations against observations of a soil moisture Net Work on the central Qinghai-Xizang Plateau[J]. J Geophys Res:Atmos, 118(10):4466-4475. Dickinson R E, 1995. Land-atmosphere interaction[J]. Rev Geophys, 33:917-922. Mitchell K E, Lohmann D, Houser P R, et al, 2004. The multi-institution North American Land Data Assimilation System (NLDAS):Utilizing multiple GCIP products and partners in a continental distributed hydrological modeling system[J]. J Geophys Res:Atmos, 109(D7):D07S90. DOI:10.1029/2003JD003823. Rodell M, Houser P R, Jambor U E A, et al, 2004. The global land data assimilation system[J]. Bull Am Meteor Soc, 85(3):381-394. Shi C X, Xie Z H, Qian H, et al, 2011. China land soil moisture EnKF data assimilation based on satellite remote sensing data[D]. Sci China(Earth Sci), 54(9):1430-1440. Su Z, De R P, Wen J, et al, 2013. Evaluation of ECMWF's soil moisture analyses using observations on the Qinghai-Xizang Plateau[J]. J Geophys Res:Atmos, 118(11):5304-5318. Taylor K E, 2001. Summarizing multiple aspects of model performance in a single diagram[J]. J Geophys Res, 106(D7):7183-7192. Van den Hurk B, 2002. Overview of the European Land Data Assimilation (ELDAS) project[J]. Trans Amer Geophys Union, 83(Suppl):H62D-0886. Wang A H, Zeng X, 2013. Evaluation of multi-reanalysis products with in situ observations over the Qinghai-Xizang Plateau[J]. J Geophys Res:Atmos, 117(D5):214-221. Wang S L, Jin H J, Li S X, et al, 2000. Permafrost degradation on the Qinghai-Tibet Plateau and its environmental impacts[J]. Permafrost Periglac, 11(1):43-53. Xu W X, Gu S, Zhao X Q, et al, 2011. High positive correlation between soil temperature and NDVI from 1982 to 2006 in alpine meadow of the three-river source region on the Qinghai-Xizang Plateau[J]. Int J Appl Earth Obs, 13(4):528-535. Zhao L, Ping C L, Yang D Q, et al, 2004. Changes of climate and seasonally frozen ground over the past 30 years in Qinghai-Xizang (Tibetan) Plateau, China[J]. Global Planet Change, 43(1):19-31. 保鸿燕, 杨凯, 李一玲, 等, 2016. GLDAS土壤湿度在青藏高原地区的误差及其原因[C]//西安:中国气象学会年会S8数值模式产品应用与评估. Bao H Y, Yang K, Li Y L, et al, 2016. Error of GLDAS soil moistrue product in Tibetan Plateau region and its cause[C]//Xi'an:Chinese Meteorology Society S8 application and evaluation of numerical model products. 陈圆圆, 宋晓东, 黄敬峰, 等, 2016. 基于地面站点观测降水资料的中国区域日降水融合产品精度评价[J]. 自然资源学报, 31(6):1004-1014. Chen Y Y, Song X D, Huang J F, et al, 2016. Evaluation of the high-resolution daily merged precipitation product over China based on in situ observations[J]. J Nature Resour, 31(6):1004-1014. 龚伟伟, 2014. CMA 陆面数据同化系统(CLDAS)产品评估[D]. 南京:南京信息工程大学. Gong W W, 2014. Evaluation on the products of CMA land data assimilation system[D]. Nanjing:Nanjing University of Information Science & Technology. 韩帅, 师春香, 姜立鹏, 等, 2017. CLDAS土壤湿度模拟结果及评估[J]. 应用气象学报, 28(3):369-378. Han S, Shi C X, Jiang L P, et al, 2017. The simulation and evaluation of soil moisture based on CLDAS[J]. J Appl Meteor Sci, 24(5):544-553. 姜立鹏, 师春香, 张涛, 2013. CLDAS-V1.0产品说明书[Z]. 北京:国家气象信息中心. Jiang L P, Shi C X, Zhang T, 2013. Product manual of CLDAS-V1.0[Z]. Beijing:National Meteorological Information Center. 李得勤, 2010. 土壤湿度的模拟和估算研究[D]. 兰州:兰州大学. Li D Q, 2010. Simulation and estimation of soil moisture[D]. Lanzhou:Lanzhou University. 李新, 南卓铜, 吴立宗, 等, 2008. 中国西部环境与生态科学数据中心:面向西部环境与生态科学的数据集成与共享[J]. 地球科学进展, 23(6):628-637. Li X, Nan Z T, Wu L Z, et al, 2008. 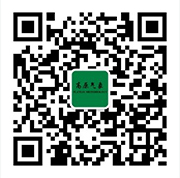 Environmental and ecological science data center for west China:Integration and sharing of environmental and ecological data[J]. Adv Earth Sci, 23(6):628-637. 李跃清, 2011. 第三次青藏高原大气科学试验的观测基础[J]. 高原山地气象研究, 31(3):77-82. Li Y Q, 2011. The observational basis of the 3rd Qinghai-Xizang Plateau atmospheric scientific experiment[J]. Plateau Mountain Meteor Res, 31(3):77-82. 刘川, 余晔, 解晋, 等, 2015. 多套土壤温湿度资料在青藏高原的适用性[J]. 高原气象, 34(3):653-665. Liu C, Yu Y, Xie J, et al, 2015. Applicability of soil temperature and moisture in several datasets over Qinghai-Xizang Plateau[J]. Plateau Meteor, 34(3):653-665. DOI:10.7522/j. issn. 1000-0534.2015.00034. 师春香, 2008. 基于EnKF算法的卫星遥感土壤湿度同化研究[D]. 北京:中国科学院研究生院. Shi C X, 2008. China land soil moisture EnKF data assimilation based on satellite remote sensing data[D]. Beijing:Graduate School of Chinese Academy of Sciences. 孙菽芬, 牛国跃, 洪钟祥, 1998. 干旱及半干旱区土壤水热传输模式研究[J]. 大气科学, 22 (1):1-10. Sun S F, Niu G Y, Hong Z X, 1998. A water and heat transport model in arid and semiarid regions[J]. Chinese J Atmos Sci, 22(1):1-10. 孙小龙, 宋海清, 李平, 等, 2015. 基于CLDAS资料的内蒙古干旱检测分析[J]. 气象, 41(10):1245-1252. Sun X L, Song H Q, Li P, et al, 2015. Analysis of drought monitoring in Inner Mongolia based on CLDAS data[J]. Meteor, 41(10):1245-1252. 王胜, 张强, 岳平, 等, 2011. 黄土高原中部典型台塬区冬季微气象特征研究[J]. 高原气象, 30(4):982-988. Wang S, Zhang Q, Yue P, et al, 2011. Study of micrometeorological characteristic in typical terrace region of middle Loess Plateau in winter[J]. Plateau Meteor, 30(4):982-988. 徐国昌, 李梅芳, 1982. 青藏高原的雨季[J]. 甘肃气象 (1):7-11. Xu G Q, Li M F, 1982. The rainy season of the Qinghai-Tibet Plateau[J]. Gansu Meteor (1):7-11. 宇婧婧, 沈艳, 潘旸, 等, 2013. 概率密度匹配法对中国区域卫星降水资料的改进. 应用气象学报[J]. 24(5):544-553. Yu J J, Shen Y, Pan Y, et al, 2013. Improvement of satellite-based precipitation estimates over China based on probability density function matching method[J]. J Appl Meteor Sci, 24(5):544-553. 岳平, 张强, 王胜, 等, 2013. 黄土高原半干旱草地降水前后土壤的温、湿度及热力特征[J]. 中国沙漠, 33(6):1766-1774. Yue P, Zhang Q, Wang S, et al, 2013. Characteristics of soil temperature, moisture and heat pro-and post-precipitation in semiarid grassland over Longzhong Loess Plateau[J]. J Desert Res, 33(6):1766-1774. 张涛, 2013. 基于LAPS/STMAS的多源资料融合及应用研究[D]. 南京:南京信息工程大学. Zhang T, 2013. Multi-Source Data Fusion and Application Research Base on LAPS/STMAS[D]. Nanjing:Nanjing University of Information Science & Technology. 张少波, 陈玉春, 吕世华, 等, 2013. 青藏高原植被变化对中国东部夏季降水影响的模拟研究[J]. 高原气象, 32(5):1236-1245. Zhang S B, Chen Y C, Lü S H, et al, 2013. Numerical simulation of impact of vegetation in Qinghai-Xizang Plateau on summertime precipitation in eastern China[J]. Plateau Meteor, 32(5):1236-1245. DOI:10.7522/j. issn. 1000-0534.2012.00119. 张强, 孙昭萱, 王胜, 2011. 黄土高原定西地区陆面物理量的变换规律研究[J]. 地球物理学报, 54(7):1722-1737. Zhang Q, Sun Z X, Wang S, 2011. Analysis of variation regularity of land-surface physical quantities over Dingxi Region of the Loess Plateau[J]. Chinese J Geophys, 54(7):1722-1737. 朱智, 师春香, 2014. 中国气象局陆面同化学院和全球陆面同化系统对中国区域土壤湿度的模拟与评估[J]. 科学技术与工程, 14(32):138-144. Zhu Z, Shi C X, 2014. Simulation and assessment of soil moisture in CLDAS and GLDAS[J]. Sci Tech Engrg, 14(32):138-144.